Nick Del Calzo conceives and produces photographic projects that advance human values. 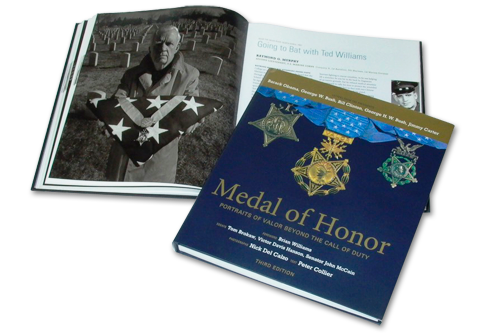 In cooperation with the Congressional Medal of Honor Society and Foundation, he created the book Medal of Honor: Portraits of Valor Beyond the Call of Duty. The Revised Third Edition was released in November 2016 and features 156 of our nation's most honored heroes. When first published in 2003, the book was on the New York Times Best-Seller List for more than a month. Founder of the National WWII Museum, notable historian, author and educator.